THE Coalition's plans to resurrect the Australian Building and Construction Commission could be dead in the water if Malcolm Turnbull does not reach the numbers to lead a majority government. Mr Turnbull met with Queensland independent MP Bob Katter today to discuss the potential nature of a deal to form minority government, if the Coalition does not get 76 seats in the lower house. But Mr Katter said he would brook no "union bashing" from a potential Coalition government and he would not modify his position against the ABCC proposal. In the event Mr Turnbull must rely on Mr Katter's support in parliament, it would mean the main supposed reason for going to an early, double dissolution election, has dissolved before the vote counting has even been completed. Mr Katter also said he "aggressively" discussed the issue of foreign ownership of Australian land with Mr Turnbull and the pair had reached a "clarification", but did not divulge the details. 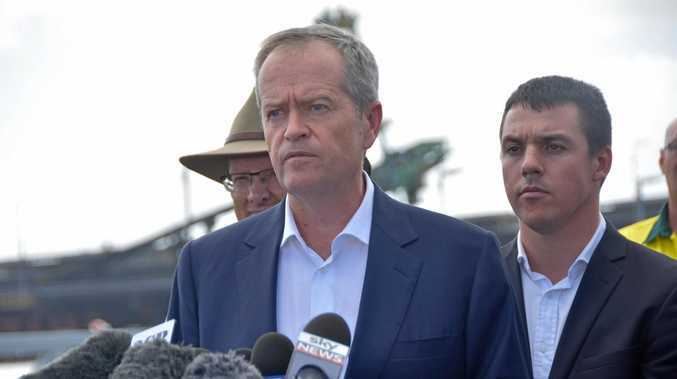 He said he also had not signed any formal agreement to maintain supply for a Coalition government, and he would not be giving Mr Turnbull a "rubber stamp". "If I can put somebody in I can put somebody out to I can tell you," Mr Katter said.